Where does all the time go? Not enough of it, too much good work to do, and the pace of change is fast. With such challenges, can we make space for “think time” so we learn from successes and missteps? Here’s the thing: if we DON’T make this space, we risk working in the same worn grooves and getting stuck in the same ruts. My experience is that making a space for reflection can actually SAVE time. How? Well, first of all, reflecting and analyzing are a practice, like doing yoga or playing an instrument. We get better when we have a disciplined approach. Understand day-to-day work dilemmas, successes, and missteps. 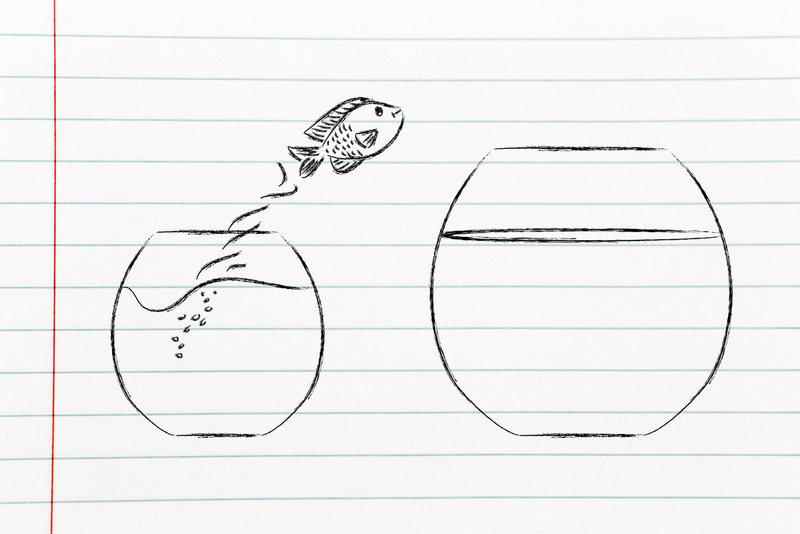 Get perspective on one’s actions by seeing how we get stuck, find new choices, and move toward action. Do things better next time–and continually learning over time. We use a new version of David and Alice Kolb’s Learning Cycle (2011). 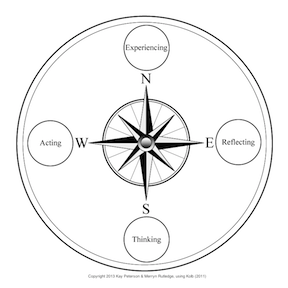 We call the Cycle the Learning Compass because it helps us navigate. The Compass helps us quickly locate where we are, on-the-spot, experience by experience. Then it helps us decide which direction to move toward without either idling or racing our motors. We begin in the North with an experience that is direct and concrete. Moving clockwise to the East, we reflect on this experience, for instance by thinking about our assumptions and how we feel, and noticeing the experience from different perspectives. When we are ready to use more rational analysis of the experience, we move toward the South. In the southern hemisphere, we form a plan for our next actions. Moving around to the West, we take action, the result of which is a new experience that returns us to the North. A new cycle begins. 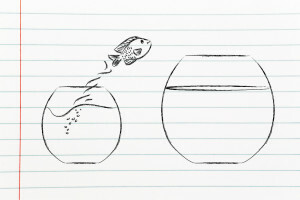 My client Holly recently told me about a perplexing work dilemma. She invited an employee to a planning meeting, and her offer was rebuffed. Because the meeting concerned the employee’s future at the company, Holly wanted to do all she could to lead in the very best way. The Learning Compass gave us a map for working through the situation. Since the experience with her employee, in the Compass North, Holly had been turning the experience over and over, wondering what to do. She realized that she was getting stuck in the Compass East, in reflection. At the same time, as Holly told her story, I noticed that she kept pushing herself to find a quick solution, in other words, toward action, in the Compass West. Holly knows she is a doer–that’s one of the reasons she’s an effective COO, but in this case she was uncomfortable with the one choice of action she kept coming back to. Holly decided pretty quickly. She was ready for action, in the Compass West. After trying out this action, Holly can “debrief” the experience on her own because the Compass, with its different ways of learning, is easy to remember and use.